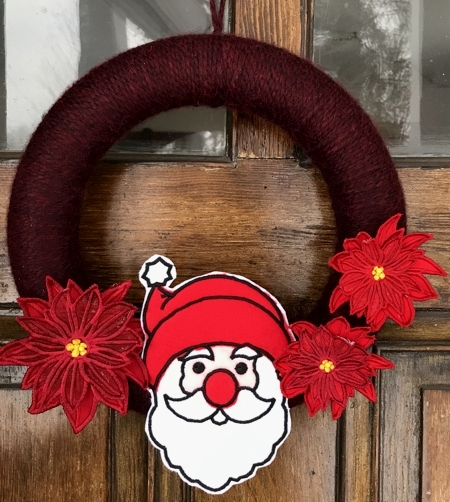 For this quick and easy project we used the design Santa Claus Applique and the designs from the 3D Poinsettia Applique and Doily Set, in large and small. You can put this wreath together in just a couple of hours. 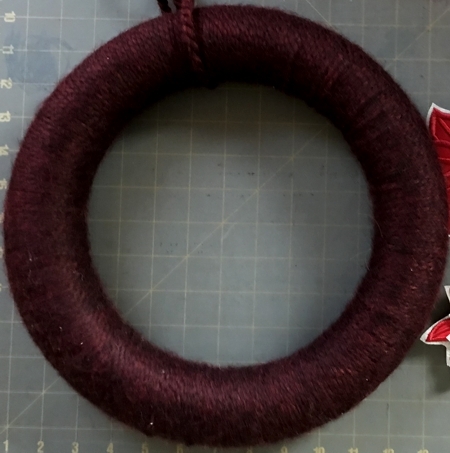 Tie the yarn's end to the foam wreath ring and start to wind the yarn around the ring. Wrap tightly, and place the coils of yarn very close to each other. Tie the end of yarn. The wreath base is ready. All designs are simple and fast to embroider. Follow the directions. For poinsettias we used 2 types of fabrics - cotton for the lower flower and organza for the upper flower. We made 2 small and 1 large flowers. Wash out the stabilizer and leave to air dry. 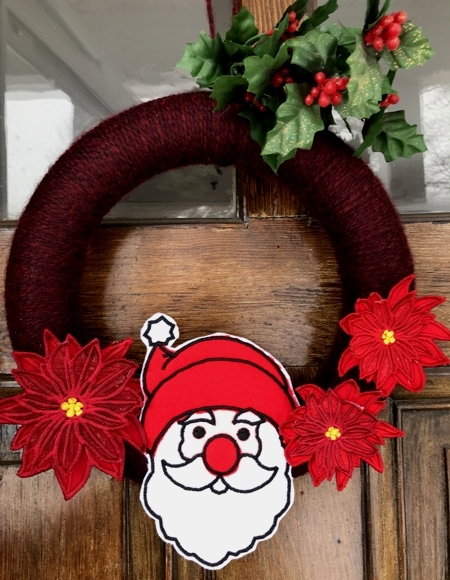 For the Santa design we used polyester craft felt. Hoop a layer of white felt with light-weight stabilizer. Embroider the design following the instructions. Unhoop and cut out the applique close to the outer lines, leaving 1/8"-1/32" margins around the stitch-out. 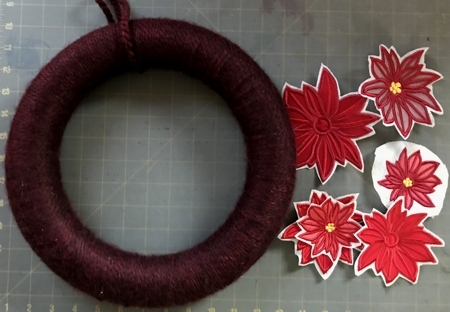 You can use either glue or pins to finish the wreath. Pin or glue the stitch-outs to the base. We went for a modern, minimalist look with our wreath. If you like, you can add more poinsettias or twigs of holly for a more tradtional look.